The greatest advantage of MooTools is that it is object oriented. Code reusability and greater modularity are the highlights that makes development using MooTools an enjoyable task. 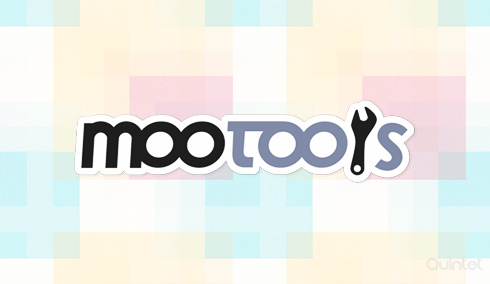 MooTools is licensed under Open Source MIT license which allows to edit and distribute freely. It also supports all the modern browsers. MooTools supports different plugins with their applications. Forms are unavoidable parts in a web pages. Form validations plugin is one of the simplest MooTools plugins. Here the plugin provides form with validations without any page refresh. Quintet has a team of MooTools plugin creation experts and we are ready to develop plugins based on your need and also ready to integrate an existing plugin to your application. MooTools helps to add multiple events to html elements with easy code handling. It supports all type of event handlers. Our developers are experts in MooTools event handling and integration. Slick is the new selector engine of MooTools. It supports many css selectors. Slick also helps to implement reversed combinators, that are combinators with the reverse of their original. MooTools provides easy drag and drop handlers. MooTools drag and drop helps to make your application more interactive. We offer easy integration of these drag and drop methods to your application. MooTools supports different effects with their powerful fx class. The fx class supports different animations including morphing, sliding and sorting. And also possible to implement different transition methods with your applications without any effort. Basic XHR request handling class in MooTools. Supports subclasses for handling html and json data contents. Quintet offers less time consuming and efficient request handling through the MooTools request.